The Peters super story looks like a clumsy dirty politics hit by National. NZ First leader Winston Peters says he was warned someone in the National Party was “trying to take him down” over a pension overpayment. He says he has no doubt National campaign chair Steven Joyce and leader Bill English were passed on his personal pension information. Over the weekend the usual rabble on Twitter started getting over-excited that there was another election scandal to come. The rumour mill did it’s job, and it rounded on two people. Paula Bennett and Winston Peters. Only the National party were pushing the Winston Peters scandal. Everyone else was pushing Paula Bennett. Winston Peters is on the warpath over who leaked details of his pension over-payments. The New Zealand First leader says he’s the victim of a privacy breach, claiming it’s dirty politics orchestrated by the National government – and he’ll “lodge a serious action” when his lawyer returns from an overseas holiday today. Three investigations are now underway into whether Mr Peters superannuation overpayment details were leaked. “You’ve got a political party that’s been deeply exposed now all the way to the prime minister,” Mr Peters told media after a public meeting in Whangarei this morning. He referred to Bennett having previously released personal information about a beneficiary. This looks like a huge miscalculation by National. And even if they (assuming Peters holds the balance of power after the election) manage to buy him off and govern, no one can have any confidence in the stability of such a broken relationship. Recall that Peters has called on English to resign over the Barclay Scandal. The Nats are going after Peters in Northland. English and Peters hate each other. The strategy then is clear; to try and boost National’s vote — thought to be in the mid-40s – by two per cent or so, and then to rely on a high wasted vote from the Greens, TOP plus ACT to reduce the percentage it needs to get half the seats in Parliament. More numbers and reasoning on Politik. Another case for a suitable UBI for all ages. All this checking on you, it’s back to charity attitudes instead of rights. With UBI as a superannuant if you were well supported with your own income you would presumably have a small amount of cash from the state and be helped with medical care and not much more. But it wouldn’t be cut if you did this or that outside limits set by government departments. Mr Peters sided with National after the country’s first MMP election in 1996, despite having an often bitter relationship with National’s leader at the time, Jim Bolger. Flashpoints included Mr Peters being sacked from Mr Bolger’s cabinet in 1991, Mr Bolger calling Mr Peters a racist, and Mr Peters calling Bolger “unfit to govern”. Mr Peters was eventually appointed deputy prime minister and treasurer, with the National-New Zealand First coalition lasting two years before he was sacked from Cabinet again in 1998, forcing him back to the opposition benches for the next six years. If there is a Nat/NZF government we can expect to see much more of this and ten times more bitter. Is that what Peters means is ‘best for the country’? The chances of a National/NZF government are unquestionably dead and buried now. Labour alone possibly or Labour/NZF are the result. Unbelievable ineptitude on Nationals part. Tolleys silence speaks volumes. Labour are going to benefit from this. Winston is an unknown quantity at the best of times, National’s criminal ethics are on public display. Now even more people are going to flock to that nice Jacinda. Yawn. Winston won’t have a choice, and NZ will do fine. When it does, you will deny it and cling to your bitterness like a baby with a blankie. 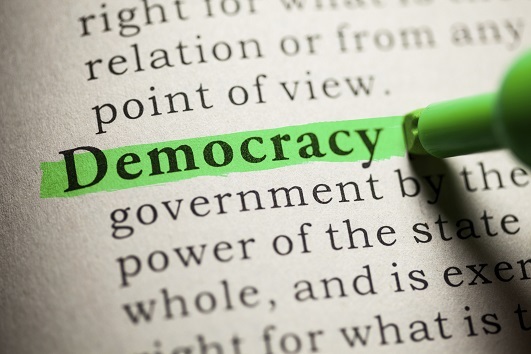 Civics 101: opposing the government is actually a fundamental feature of democracy. That’s why they call it “opposition”. However, that isn’t what I said: I said when the country does well with the Greens in government, you will deny it and clutch at your bitterness blankie. Oh, and you didn’t answer my question: are you ignorant or lying? Disagree. This is huge for every New Zealander of every political persuasion. If this really was a leak from National Mp’s, then it is clear corruption and heads will roll. This goes way beyond just who gets into government in a months time. It also gives NZF a lot of positive airtime at this crucial period, and will likely lead to at least one Minister stepping down pre election. Tolleys silence makes it look like it might be hers. Either way, National is a dead duck for this election. much of that is true…and still unlikely to move many votes…..how many times have National been shown to be behaving unethically and to what effect? Not just unethically in this case, if it was National. This would be criminal. Wait and see, Tolley will step down. There is more coming. The IHYA data base grenade may go pop, and it may disappear inside post election negotiations. The entire Citizen data file of the MSD appears to have drifted loose in February. Tolley and English jumped on the so called ‘Provider exposure’ on March 31 to cover what seems to be have been a major loss earlier. IT people were called in and an entirely new system was called for. The independent review was headed by former Deloitte consultant Murray Jack, who reported conveniently a minor event. I read that to mean there was personal information about [potentially] thousands of people which leaked into the public domain? Someone with more knowledge could perhaps clarify what he is saying. If this really was a leak from National Mp’s, then it is clear corruption and heads will roll. Well, they should roll but NZ seems to protect such corruption instead of punishing it. If we didn’t then Paula Bennett would have ended up in jail for the release of two beneficiaries details. Bennett has learned a lot from Key’s technique of spouting garbled nonsequiturs to avoid questions. It is not lying if it doesn’t make any sense! The inescapable conclusion being that Tolley has no soul. It is not lying if it doesn’t make any sense! Yes it is. It meets several of the explanations/definitions on here. It’s all a bit convenient for me. National had little to gain from this imo. Who do you think is mostly likely to have leaked this and why? I reckon Collins, in order to demolish English, planning on 3 years in Opposition then back in power as leader. You think she reckons a Lab/Green/NZFirst government will end up going down the gurgler allowing the hard line “crusher” to reform National and lead National to victory? Yeah . Right. ‘ Plausibility ‘ . About as silly as this . Yes, they did. They are blackmailing Peters, imo. They’re doing a really bad job of everything! Wait I have it! National have launched a deliberately bad hit job on Winston, at Winstons behest, to deflect criticism of Winston because instead of talking about Winstons overpayments we’re now talking who leaked and who knew what! More likely they launched a completely uncoordinated hit on Peters because they’re completely uncoordinated. So when they do find the criminal who leaked it , he/she is the willing fall guy , huh ? Take a hit for the team and all that eh ? Few years in the clink and come out a hero , right? Newsflash ! – this isn’t a Broadway production and you sure aint John Wayne. Will English jump before he is pushed? English aint going to survive scrutiny over the Barclay scandal. He is lucky to make it to the election. Who is the bright spark who came up with the flush in cards? Act or/and Maori party gone. Winston sure is the joker. Only Crusher can save National, make her the leader! Well; vote for her at the next National party conference, then. Or do they still not believe in allowing ordinary members a democratic say in the party’s leadership? They seem to be your kind of people, so maybe you should renew your party membership and see how that goes. Democratic say on 23 September. English might do a Clark, 2008 on election night. Long way till the next Nat party conference. Late last week, highly placed Beltway contacts of mine hit me up to ask if I knew anything about an impending scandal that was supposedly about to hit New Zealand First. I’m rather out of the loop when it comes to NZ First, so I had to confess that I did not. I did, however, have the presence of mind to ask my associates just why they thought NZF was about to be in the gun. They bluntly stated that there was about to be a rather ‘large’ scandal concerning National due to come out early the next week, and that National was looking about to find something to ‘defuse’ the situation pre-emptively by putting out a DISTRACTION SCANDAL that would harm their adversaries and minimize the damage to their own side. This begs the question; what is the “scandal concerning National due to come out early th[is] week”. The only thing I can think of would be the ongoing erosion of English’s credibility with the Barclay scandal. But perhaps its public airing is on pause till this Peters distraction moves out of the spotlight? What seemed to stick in the craw of most voters, however, was the Government’s extraordinary hypocrisy. Through their various agents and mouthpieces, they had viciously denounced an Opposition politician who had admitted to committing a series of relatively minor transgressions in her youth. And yet, even as this Opposition politician was being hounded out of Parliament, the governing party was moving heaven and earth to prevent the much more serious transgressions of one of its own from reaching the ears of the public before polling-day. No one can talk about Paula Bennett. Metiria met with MSD to pay back everything she owed. Winston paid as soon as he was told he owed money. No one can talk about Paula Bennett. 5 things concern me about all of this. 1 How quickly forgiven Winston will be, while Metiria is still some sort of pariah. It’s not that Winston doesn’t deserves the benefit of the doubt, it’s just that we refused to extend it to Metiria. 2 How the hell did someone inside the MSD or IRD leak Winston’s details to the media? 3 It is pretty obvious that Winston has been set up and that it is a political hit job. 4 If Winston can screw it up, how many other NZers can be caught and burnt by this and why can’t we extend that same level of empathy to Metiria? 5 No one can talk about Paula Bennett.